This breakthrough book covers the head-to-toe, outside-inside health needs of today's 10- to 21-year-olds. 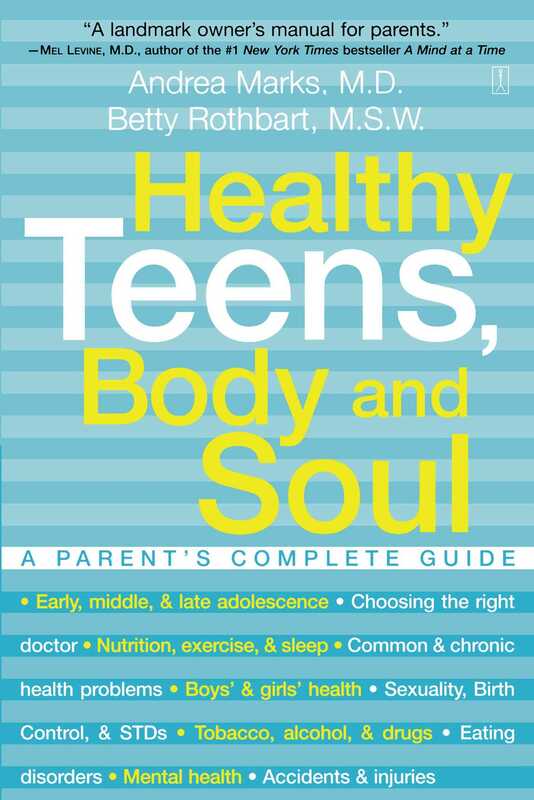 Written by experts in adolescent medicine and parent-child relationships, this comprehensive reference gives no-nonsense, straightforward guidance on how to talk with teens in a way that will help them take charge of their own health. Combining authoritative information with sound advice on communicating with teens, who really do want and need their parents' help (even though at times it may seem otherwise), Healthy Teens, Body and Soul will teach parents how to open the lines of communication that will result in healthier, happier teens (and parents!). David W. Kaplan, M.D. Head, Adolescent Medicine, University of Colorado School of Medicine This is the teen health book. It is #1 on my list! Ron Taffel, Ph.D. author of The Second Family Sure to become a reference guide on millions of shelves around the world...a must-have.